‘What I Did With My Wedding Dress After D-Day’: 7 Brides Share! Every bride loves to shop for her wedding dress. It has to be beautiful, unique and just perfect in every way. 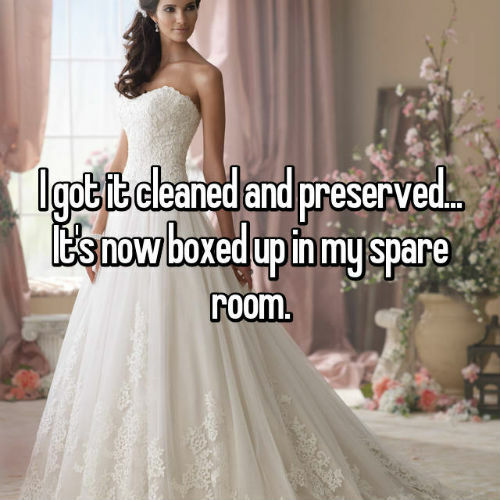 But have you ever wondered what happens to those expensive wedding dresses after the big day? No, right? 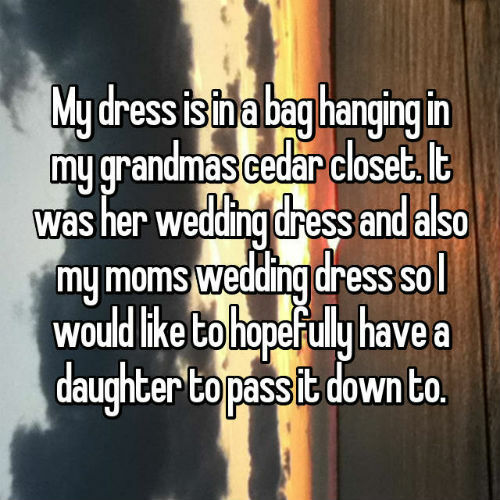 Well, we found this super interesting thread on Whisper where real brides are confessing what they really did with their wedding outfits. Read on and find out. 1. 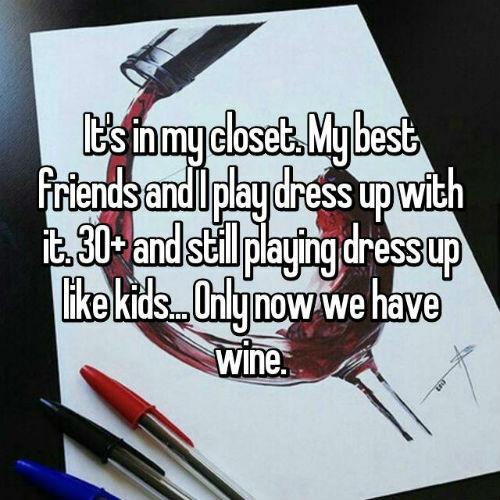 Reminds us of the TV series F.R.I.E.N.D.S where Rachel, Monica and Phoebe sit together to have beer…in wedding dresses. 2. 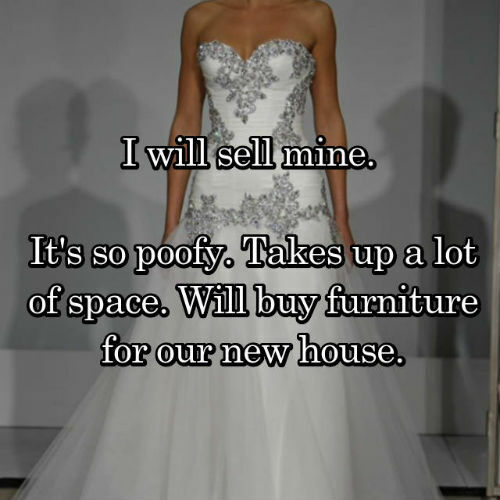 Well, furniture is so much more useful than a wedding dress. 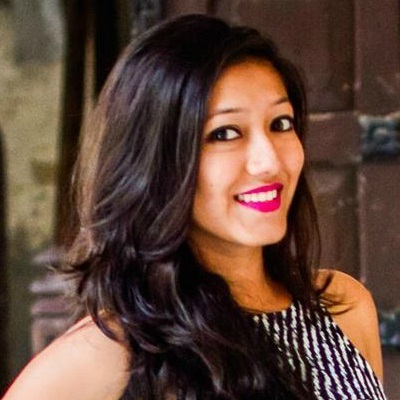 Also read: Girls vs The World: Should You Change Your Name After Marriage? 5. That’s what most people do. 6. Well, this NOT what most people do. 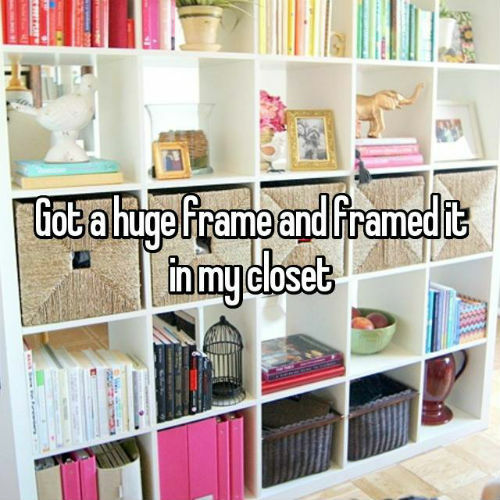 Who gets their wedding dress framed? Also read: This On-Screen Celeb Couple’s Pics Are… Honeymoon Goals! You can read the full thread here. 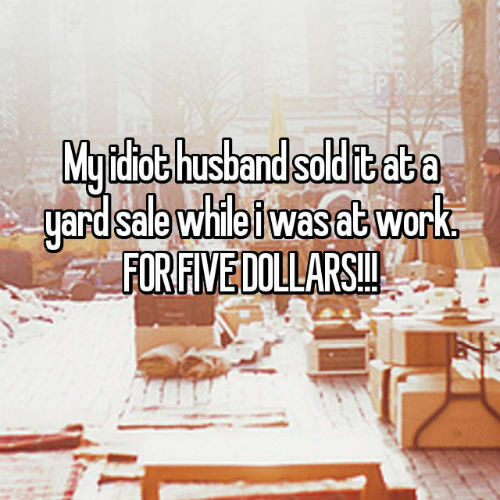 Images: Whisper Well, these were some interesting confessions! 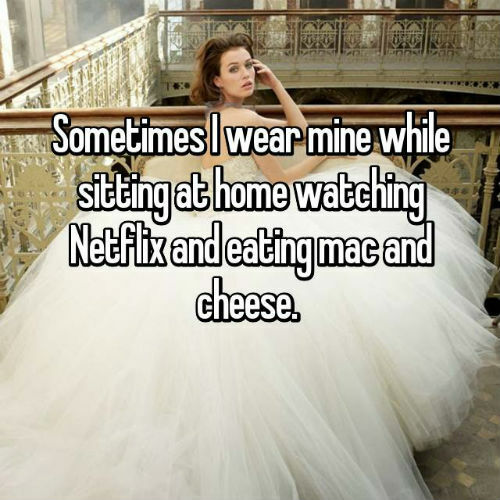 What will you do with your wedding dress?